A very formal and strict type of performance dance. Ballet dance originated in 16th and 17th century French courts, and was further developed in England, Italy, and Russia as a concert dance form. A form of dance that showcases a dancer’s individual style and originality. Every jazz dancer interprets and executes moves and steps in their own way. This type of dancing is energetic and fun, consisting of unique moves, fancy footwork, big leaps and quick turns. A dancing style that rejects many of the strict rules of classical ballet, focusing instead on the expression of inner feelings. A style of expressive dance that combines elements of several dance genres including modern, jazz, lyrical and classical ballet. 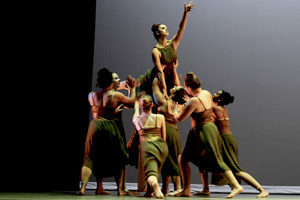 Some describe Contemporary Dance as whatever is current and happening in the dance world. Refers to street dance styles primarily performed to hip hop music or that have evolved as part of hip hop culture. It includes a wide range of styles primarily breaking, locking, and popping.